AUTOMATIC SINGLE HEAD CAPPING MACHINE Product Details: Power	1.5kw Dimension	1300x800x1900mm Weight	Upto 700kg We are indulged in offering our patrons a comprehensive array of Automatic Single Head Capping Machine. AUTOMATIC LIQUID FILLING MACHINE Product Details: Voltage	380V/220V 50Hz Power	1.5KW Weight	Upto 600kg We are the leading wholesaler of Automatic Liquid Filling Machine. 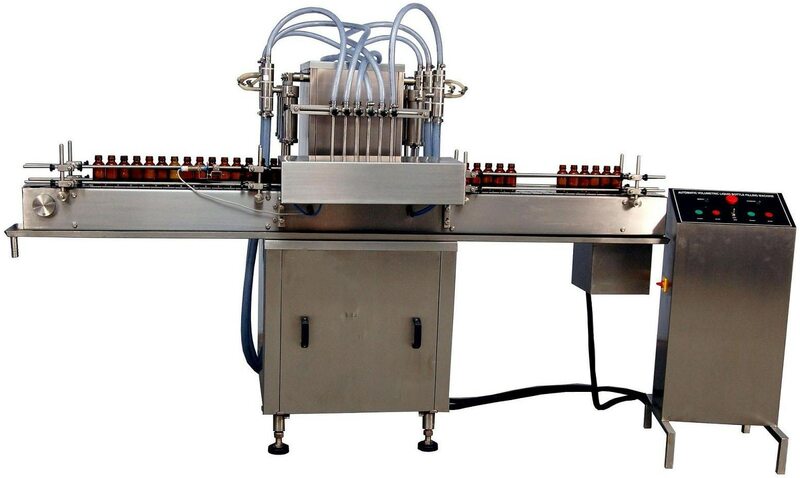 AUTOMATIC LIQUID FILLING MACHINE MANUFACTURER We are leading manufacturer and supplier of AUTOMATIC LIQUID FILLING MACHINE in ahmedabad Gujarat India. Automatic Twin Head Vial Filling Machine manufacturer and supplier in ahmedabad gujarat india.